A week in idyllic Queenstown, with 4 rounds of golf. Marvel at the Remarkable Mountain Range, the crystal clear lake and the spectacular golf courses. Single Supplement $700 (one bedroom one bathroom within a 3 bedroom apartment). Please feel free to contact us or email us at info@onthetee.com.au. Arrive in Queenstown. You will be met at the airport for your private transfer to Peppers Beacon, home for the next 6 nights. Peppers is located within walking distance of the town centre, it overlooks Lake Wakatipu, with the Remarkables mountain range in the distance. 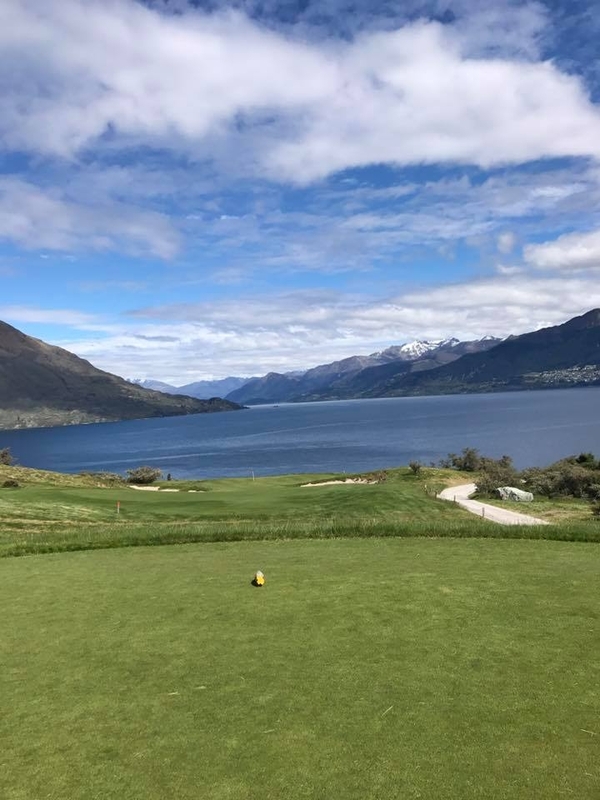 Start your Queenstown golf odyssey with our personal favourite Jack's Point Golf Club, where every hole has unique appeal. It's just 20 minutes from Queenstown, yet it feels far more remote. The John Darby designed 18-hole par 72 course provides a range of challenges for both experienced and beginner golfers. This undulating course follows natural contours and features tussock grassland, dramatic rocky outcrops and steep bluffs overlooking Lake Wakatipu. Round 2 is at Milbrook Golf Resort, near Arrowtown. This championship course offers three nine hole courses, The Remarkables, The Arrow and The Coronet. The original 18 hole, par 72 championship course was designed by the legendary New Zealand golfing legend Sir Bob Charles. In 2010, two-time New Zealand Open winner Greg Turner, designed and added the 'Coronet Nine' to Millbrook’s arsenal, a more naturally rugged and challenging nine than original layout. hold on tight for the thrill ride of a lifetime on the Shotover Jet as the jaw-dropping scenery passes you by while you power your way through the narrow Shotover River canyons. Round 3 is a stableford competition at the scenic and picture perfect Queenstown Golf Club. This sunny 18 hole par 72 course is located on the Kelvin Heights peninsula, and is surrounded on three sides by pristine alpine waters with the dramatic Remarkables in the background. For your final round you return to Jack's Point, brimming with confidence and course knowledge, ready to tackle this legendary course. Transfer to the airport for your return flight. Ka kite anō Queenstown! Ready to plan your Queenstown trip? Please feel free to contact us, email us or complete the form below and we’ll be in touch shortly.